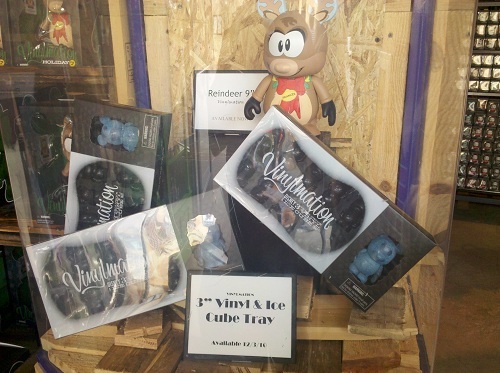 For those who may recall, when D-Street opened in Downtown Disney’s westside, we were promised Mickey Vinylmation Ice Cube Trays. 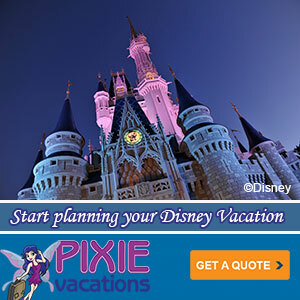 Well they’ll be available starting Dec 3rd. 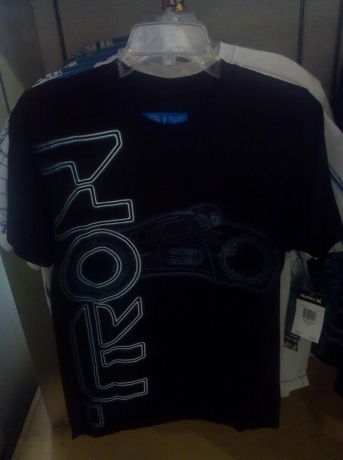 A wide selection of TRON themed clothing is available. Mostly from the Hurley brand. 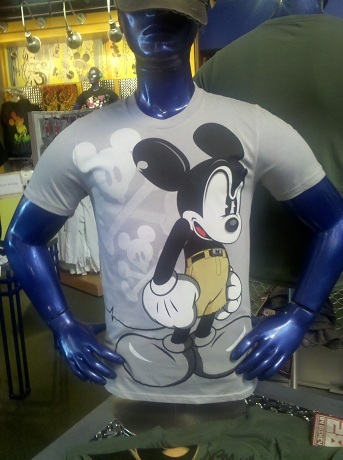 Disney recently restocked with a new collection of Bloc28 T-shirts. These are designed by street artists. I really like this one, of course, it was the only one they were out of stock on.